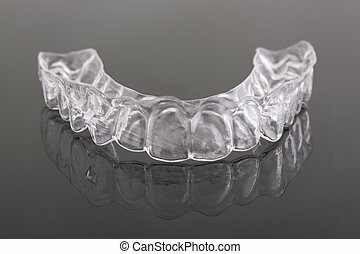 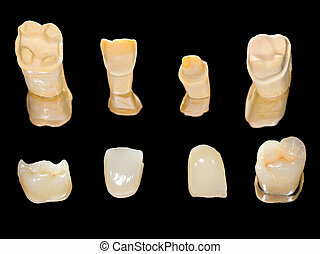 Ceramic crowns. 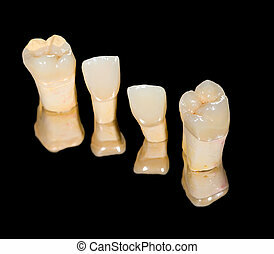 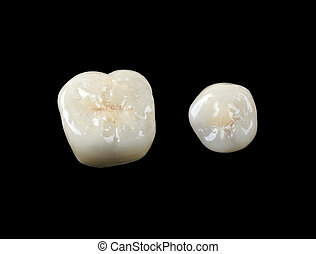 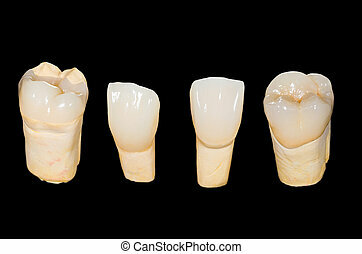 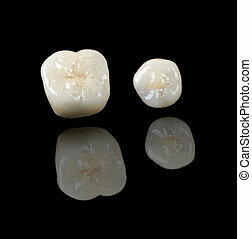 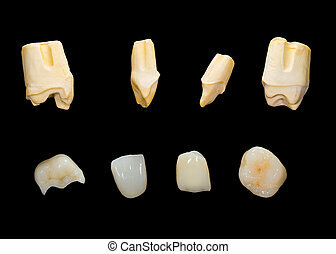 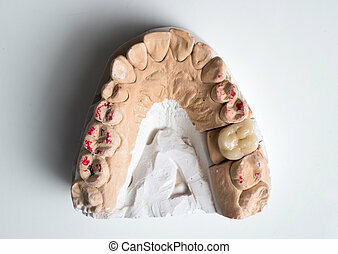 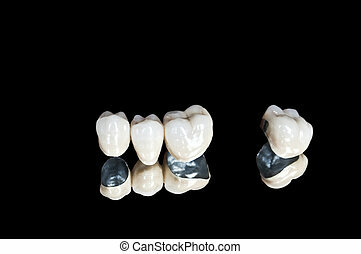 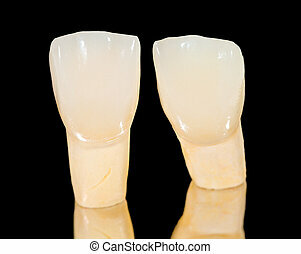 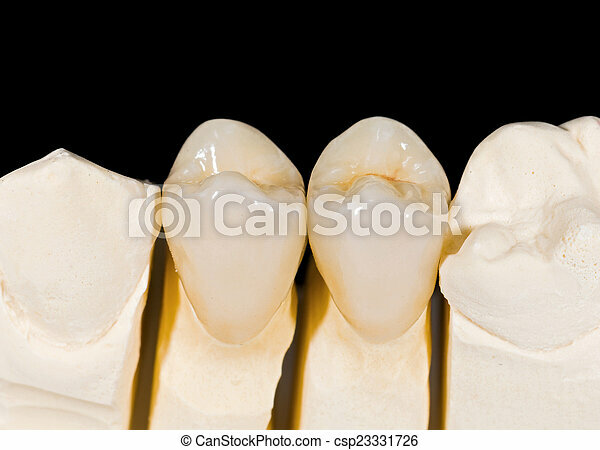 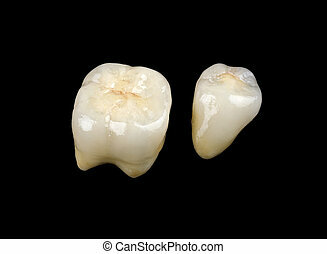 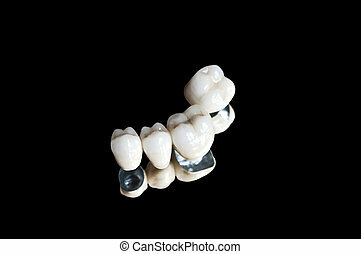 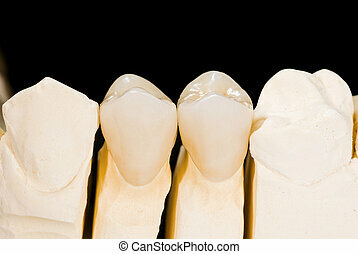 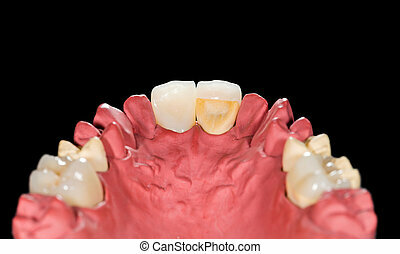 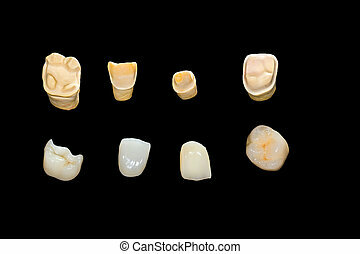 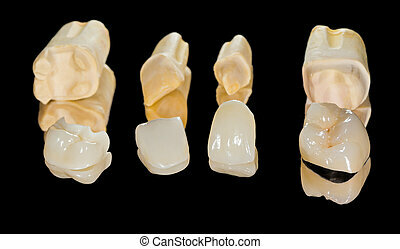 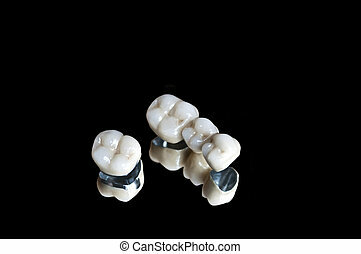 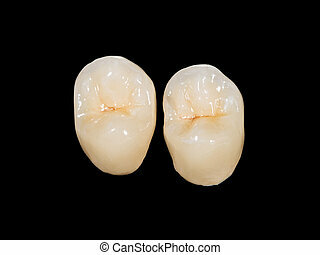 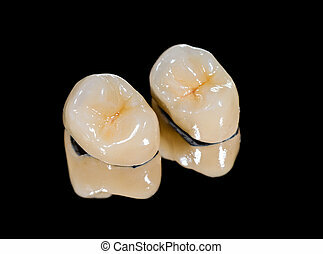 Ceramic premolar crowns on isolated black background. 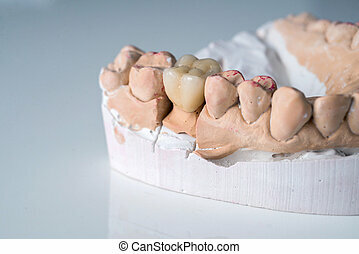 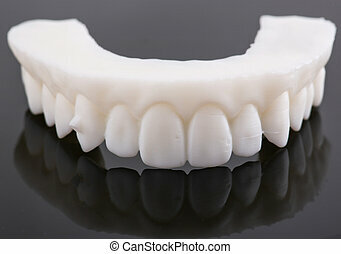 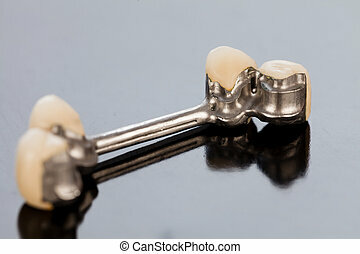 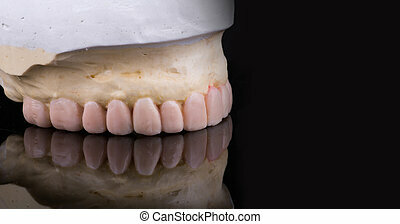 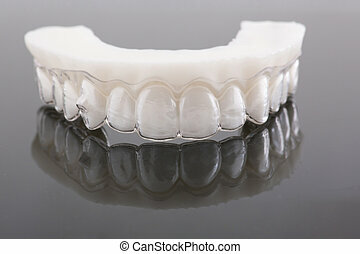 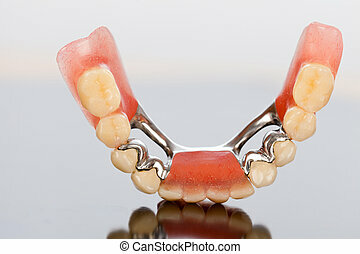 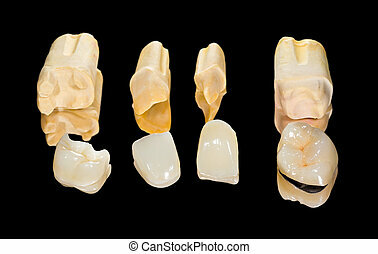 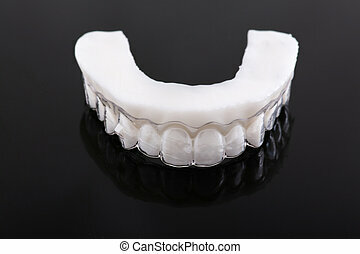 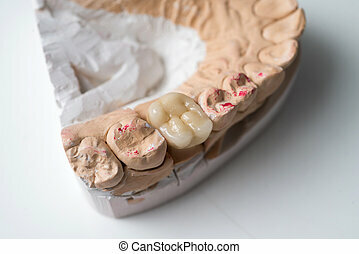 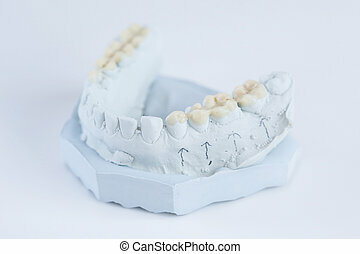 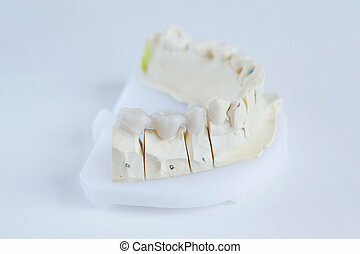 Details of a dental skeletal prosthesis with special anchoring elements and porcelain crowns.